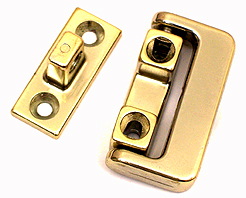 Various window locks are available. Firstly choose ones that are suitable for your type of window. I find this type are very reliable. They come in two pieces.They are quick and easy to fit. The two pieces locate when the window is shut and can be screwed securely together with a special key. Chubb swing lock. Several colour available. 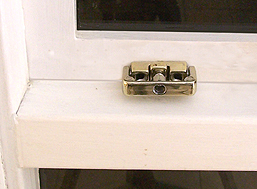 Simply screw the smaller part to the fixed window frame and the larger swing part to the opening window.